The principle of hydrodissection is the use of a stream of water to expand and delineate surgical planes. Hydrodissection was originally described for gynecologic pelvic procedures (1-3), and performed using a suction-irrigation probe (5-mm diameter) by injecting normal saline at 300 mmHg into the subperitoneal space to enter the space of Retzius (2). Hydrodissection was also used to develop tissue planes in the avascular pelvic area during laparoscopic hysterectomy (3). The pressures used were in the range of 200 to 800 mmHg (1). Another indication for hydrodissection was laparoscopic cholecystectomy by injecting 50 mL of saline with a cyst aspiration needle between liver and gallbladder (4). This technique resulted in less bleeding, fewer incidence of gallbladder perforation, and faster dissection. Although similar in principle, hydro-jet technology utilizes an extremely thin high-pressure stream of saline (5). It has been routinely used in industry as a "cutting tool" for different materials such as metal, ceramic, wood, and glass (6). In the surgical field, hydro-jet has been used for both blunt dissection and cutting. Saline is the currently used fluid for surgical dissection. The application of saline between tissue layers creates surgical planes. Moreover, the high-pressure stream of saline can be used as a sharp knife to cut parenchy-mal organs depending on the tissue density and the pressure utilized (5). The application of parameters, such as water pressure, probe characteristics (diameter and configuration), and a specific hydro-jet temperature, has made selective dissection and cutting of tissues of various consistencies and elasticities feasible. Papachristou and Barters first used hydro-jet technology for liver resections in dogs (7). Vessels and bile ducts were preserved. Later, hydro-jet technology was used for selective dissection of liver parenchyma during hepatic resection in human. Hydro-jet dissection resulted in decrease blood loss compared to conventional tissue fracture technique during hepatic resection (8). Experimental and clinical laparoscopic hepatic resection using this technology was later reported (9,10). Further experience demonstrated the feasibility of this technology for resection of a wide range of parenchymal organs such as brain, kidney, and lungs (11-14). Clinical experience for dissection of brain parenchyma using hydro-jet has been recently reported (11). Using a maximum pressure of 7 bar, small vessels could be preserved. In a porcine model and recently in human, this technology was applied for laparoscopic cholecystectomy using the newer generation device, Helix™ a Hydro-Jet (Fig. 1) (15,16). In a prospective clinical study, 80 patients were randomized to undergo laparoscopic cholecystectomy using standard (n = 40) or hydro-jet-assisted (n = 40) dissection techniques. The rate of intraoperative complications including hemorrhage and injury to the adjacent organs was less using hydro-jet dissection compared to standard laparoscopic cholecystectomy. 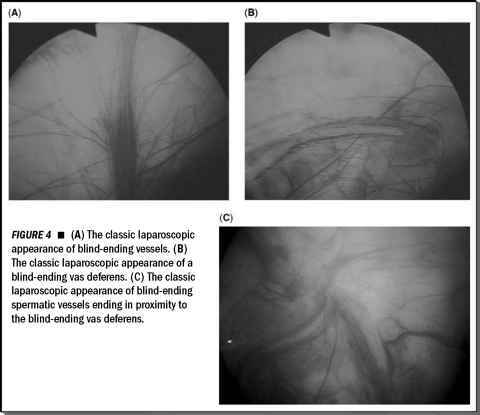 Hydro-jet resulted in a selective dissection of connective tissue preserving blood vessels and the cystic duct. FIGURE2 ■ The angled tip dissection probe of the Helix™ Hydro-Jet device. Continuously monitored and adjustable high-pressure saline is directed through the 120-^m nozzle at the tip, which can also be used for blunt dissection. 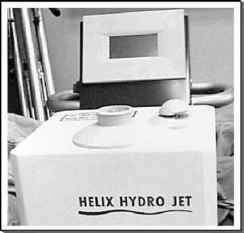 FIGURE 1 ■ Helix™ Hydro-Jet generator. A digital monitor displays the actual pressure during dissection. After the introduction of newer generation devices and improved dissection probes, hydro-jet was introduced into the field of laparoscopic urologic surgery. Hydro-jet technology facilitates isolation of the cystic artery and duct as well as dissection of the gallbladder so that subsequent coagulation of liver bed was often not necessary. In the urologic surgery, hydro-jet technology was initially used for experimental applications during open surgical procedures, such as partial nephrectomy using older generation devices (12). 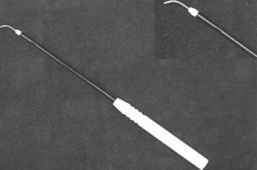 A major advancement for laparoscopic application was the introduction of an angled tip probe that allowed simultaneous saline application and blunt dissection with the probe (Fig. 2) (5).